Did you know that in 2014/2015 an estimated 2 million people were suffering from an illness they believed was caused or made worse by their work? 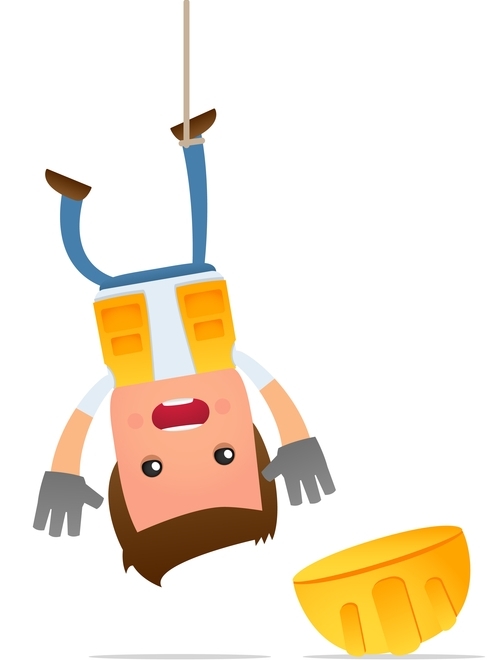 Did you hear about the 142 fatal accidents that occurred in workplaces over the same period? Every year the Health & Safety Executive (HSE) publishes statistics about work related accidents and despite regulations getting stricter, the data suggests that the number of injuries over the last 5 years has not fallen significantly. The data that the HSE analyses is officially reported under the Reporting of Injuries, Diseases and Dangerous Occurrences Regulations 2013 (RIDDOR) but there is a substantial number of cases going unreported. In some cases people ignore an injury caused at workplace and suffer in silence often living with the fear of being dismissed or judged by colleagues. In the past three months a few serious cases have come to our attention. In one case, three construction workers were exposed to asbestos over several days because their employer had failed to remove it. Exposure to asbestos can cause terminal diseases and it may take several years for these workers before they find out the real impact that this neglect will have on their health. But the psychological damage of living in fear of contracting a potentially fatal disease is already present. In another case a manufacturer was found guilty for failing to provide adequate safety measures for work equipment. That neglect resulted in two separate accidents in which two workers had suffered physical damages and were unable to return to work for several months. If you put yourself in the position of these workers and their families, you would not even question whether it was ethical to make a claim against their employers. However, the fact of the matter is that many people who are injured at work do not seek compensation from their employers. So, what do you need to know and what can you do if you believe your workplace caused an injury, illness or made an existing condition worse? It is a legal obligation for all businesses in the UK to ensure the welfare and a safe environment for their employees and visitors. They have to follow strict health and safety regulations and enforce health & safety rules where required. However, despite these legal obligations mistakes happen and many employers neglect to properly manage risks in the workplace. A work related injury is an injury that was caused to you while you were at your workplace – it could result from using work equipment, tools and other objects, following work processes, or following negligent actions by a colleague. Regardless of whether you are a permanent or temporary employee, self-employed or a contractor, working full or part time hours, the company where an accident or incident took place has a legal duty to safeguard you. When an accident happens – report it! Most companies are required to keep an accident log (paper or electronic) to record injuries and accidents. Even a small injury such as a paper cut is likely to be recorded if the attention of a first aider is required. Accident log books are kept to assist companies in identifying potential risks and improving health & safety measures. For you, the accident log book may be required as evidence to get sick or accident pay, get time off work or make a compensation claim. We recommend that anybody who has suffered injury as a result of an accident at work checks the record of the accident to ensure that it was reported correctly and includes the names of any witnesses where possible. Any major accidents that cause physical injury or death must be reported to the RIDDOR database. The same goes for dangerous occurrences that might not have resulted in death or injury but pose high risks. Injuries that keep a person off work for more than seven days should be reported too. These reports help the enforcing authorities (HSE, local authorities and the Office for Rail Regulation (ORR)) identify where and how risks arise, and whether they need to be investigated. If you were involved in an accident that falls under RIDDOR, it may help to check if your employer reported it. Accidents involving vehicles such as forklift trucks, articulated vehicles, cranes, etc. If you are self-employed and suffered an injury, report it! Since 1 October 2015 health and safety law does not apply to self-employed people whose work activity does not represent potential risk to the health and safety of other workers or members of the public. However you should still report major accidents that happen on your own or domestic premises under RIDDOR. This will include a statement from a doctor that you have a work-related disease or condition. If you had an accident or suffered an injury that kept you off work for over seven days while you were in someone else’s work premises, you should make sure they know about it and report it under RIDDOR. Why would you consider making a claim? Standard employment contracts must include Statutory Sick Pay for time off resulting from an accident at work. Some employers may have additional accident pay schemes or offer to cover expenses. However, there are cases when employers do not accept liability and refuse to take responsibility, even when work related injuries have devastating and life changing consequences. Often people become aware of an impact an accident had on their health or life a few months or even years after the accident itself. If you are not sure whether you get adequate support from your employer, we would advise you to call a personal injury solicitor for advice. Experienced solicitors deal with a great number of workplace accidents and can advise you on a variety of matters including what you are legally entitled to, how much you may receive in compensation including special damages and whether you should make a compensation claim. You can contact M R Law solicitors as we do not charge directly for advice or representation as our fees are usually recovered from the other party in successful cases. Alternatively, if you are a member, your trade union can be a good first port of call. Your company is obliged by law to have employee insurance cover. Therefore, whenever a claim is made, their insurance company will be dealing with you or your solicitors. If your employer went out of business, you can still make a claim but the process will involve making an application to restore them to the Companies Register. You should not be afraid of being dismissed for making a claim, because that would be a breach of employment law. If that were to happen it is highly likely that you would win a case for unfair dismissal. To make a claim, you and your solicitor need proof that an accident took place at work and that it was due to your employer’s neglect in providing appropriate health and safety measures. The accident log book is one piece of useful documentary evidence along with any photographs taken on the day. This evidence is important in helping to prove that your injury and losses were related to the accident. The time limit for making a claim is three years from the date of an accident or from the time you realised that your injury was the result of an accident at work. In cases of death, three years are considered to be from the date of death or in cases of mesothelioma which may be undiagnosed from the date of post-mortem. M R Law personal injury solicitors have created a video guide on what you can expect when making a personal injury claim. You can watch it here. You can also download an infographic explaining the process. Alternatively, call Ann Mahoney, Partner, or Tracy Brimelow, Senior Solicitor, at 01279 430 166 to discuss your situation or for advice if you need to make a claim. It is important that you take action right away after experiencing an injury or accidents. Inform your manager or boss right away to take care of the matter. Having strict procedures on employees safety can minimize work-related injuries.